Blackberry Keep is a small farm situated in the fertile Fraser Valley, on the Sumas River. It is located an hour east of Vancouver. 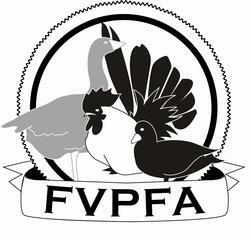 I am interested in heritage breeds, heirloom vegetables and permaculture, and farm using sustainable methods. No chemicals or pesticides are used on the farm. The breeding goals for all the livestock are to help preserve heritage breeds, with a combination of holistic and traditional farming practices. My personal goals are to produce as much of the food for my own consumption as possible. My animals are fed organically, but I do vaccinate the sheep and goats. Antibiotics are used only when absolutely necessary. Shetland sheep are the heart of the farm. My primary flock goals are fleece type and health. Secondary goals are preserving a diverse range of colours and patterns and conformation. In preparation of the move, the ewes were given 2017 off and there are no lambs available. The flock is NASSA registered. Shearing takes place in April and raw fleeces in a range of colours are available for sale. Please contact me for details. Nigerian Dwarf goats were added to the farm in 2013 for milking purposes but the little goats stole my heart. You may notice their pictures throughout the site. I started breeding them in 2014. The goats are registered with CLRC and the flock has been certified negative from CAE and Johne's March 2017. 2018 kids are sold out. A new buck from excellent milk lines will be added to the farm for the 2019 breeding season. I am very excited, stay tuned! The farm dogs are Trigger the Beagle (Ch. Bakerstreet’s Held up Without a Gun) and a very spoilt livestock guardian dog, Maremma Cubby Bear. Jack Russell Terrier, Lily lost her battle with cancer earlier in 2016. Ancona ducks are the third breeding concentration. I imported hatching eggs from the US a number of years ago and have worked hard to help establish this critically endangered breed in Canada. In 2015 I joined with eight US breeders in an American Poultry Association recognized standard. It is a lengthy project but a necessary step in the preservation of these ducks. The proposed standard is a closely guarded secret and will not be public until the end of the five year project. The animals and I moved to Abbotsford in 2017 and I am currently building. Spring and summer 2018 are busy but ducklings, hatching eggs and eating eggs are available.